Americans as a whole are becoming less religious, but those who still practice a faith are just as committed as they were in the past — in certain respects even more so. The 2014 U.S. Religious Landscape Study, released Tuesday by the Pew Research Center, also shows that nearly all major religious groups have become more accepting of homosexuality since 2007. The study provides some solace to those who bemoan the undeniable rise of the “nones” — people who claim no religious affiliation. “People who say they have a religion — which is still the vast majority of the population — show no discernible dip in levels of observance,” said Alan Cooperman, director of religion research at Pew. 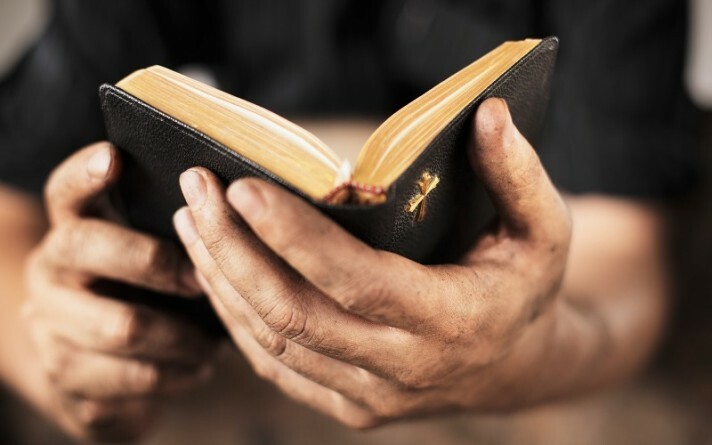 More religiously affiliated adults, for example, read scripture regularly and participate in small religious groups compared to seven years ago, according to the survey. And 88% of religiously affiliated adults say they pray daily, weekly or monthly — the same percentage that reported regular prayer in the first landscape study in 2007. “We should remember that the United States remains a nation of believers with nearly 9 in 10 adults saying they believe in God," said Gregory Smith, Pew’s associate director of research. 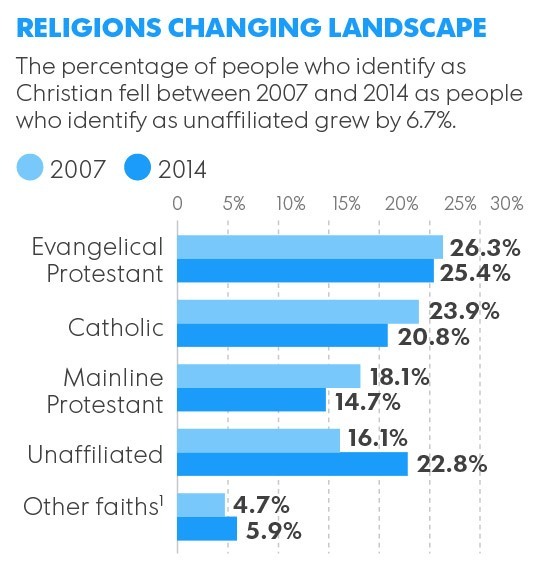 That said, religious affiliation overall has ticked down by about 3 percentage points in recent years, driven mainly by growth in the share of “nones” who say they don’t believe in God. Even among Christians — 98% of whom say they believe in God — fewer believe with absolute certainty: 76% today compared with 80% in 2007. About 77% of adults surveyed describe themselves as religiously affiliated, a decline from 83% in 2007. Pew researchers attribute these drops to the dying off of older believers, and a growing number of Millennials — those born from 1982 through early 2000s — who claim no religious affiliation. The researchers also found that as religiosity in America wanes, a more general spirituality is on the rise, with 6 in 10 adults saying they regularly feel a “deep sense of spiritual peace and well-being,” up 7 percentage points since 2007. Also increasing: the number of people who experienced a “deep sense of wonder” about the universe, which also jumped 7 percentage points. One sign: the proliferation of yoga studios throughout the nation. Most enthusiasts of the meditative practice, which combines breathing and physical postures, are not looking to convert to Hinduism, Walsh said, but they may nevertheless find the activity spiritually gratifying. Cooperman cautioned, however, against concluding that such spirituality is replacing more traditional kinds of religious experiences, such as attending religious services. More striking numbers in the study describe changing Christian attitudes toward gay Americans. Though the new survey is not the first to document such change, it shows in detail how dramatically members of a broad swath of denominations — even those that officially oppose homosexuality — have shifted in their views. The number of evangelical Protestants, for example, who said they agreed that “homosexuality should be accepted by society” jumped 10 percentage points between the 2007 and 2014 studies — from 26% to 36%. The increase for Catholics was even steeper, from 58% to 70%. For historically black Protestant churches, acceptance jumped from 39% to 51%. “Despite attempts to paint religious people as monolithically opposed to LGBT rights, that’s just not the case and these numbers prove that,” said Jay Brown, head of research and education at the Human Rights Campaign Foundation, the national gay rights group. “There’s growing support of LGBT people and our families, often not in spite of people’s religions but because the very foundation of their faith encourages love, acceptance and support for their fellow human beings,” he said. The religiously unaffiliated, however, showed the highest rate of acceptance of gay Americans: 83%. On abortion, attitudes held steady, as has been the case since the Supreme Court made abortion a constitutional right in 1973. The study shows that 53% of Americans believe abortion should be legal in all or most cases, with views within denominations shifting little since the first landscape study. • A minority of Jews — 40% — and the vast majority of Muslims — 90% — say they do not eat pork, the consumption of which is forbidden by Jewish and Islamic law. Hinduism does not allow beef to be eaten, and nearly 7 in 10 Hindus (67%) say they abide by that rule. 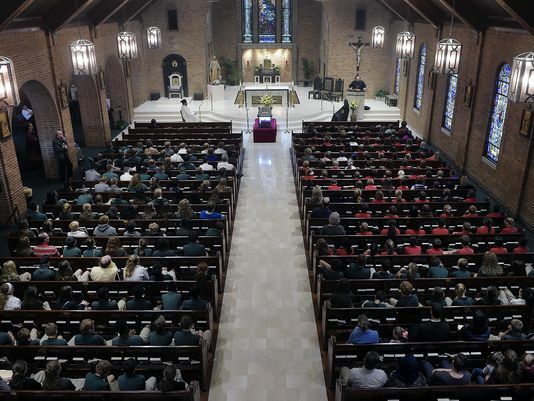 • Nearly 9 in 10 Americans say religious institutions bring people together and strengthen community bonds, and 87% say they play an important role in helping the poor and needy. • Women are more prayerful than men: 64% say they pray every day, compared with 46% of men. • On evolution, more than 62% of Americans say humans have evolved over time, while about a third (34%) say humans always existed in their present form. • Six in 10 adults, and three-quarters of Christians, believe the Bible or other holy scripture is the word of God. About 31% overall — and 39% of Christians — believe it should be interpreted literally. The 2014 U.S. Religious Landscape Study interviewed 35,071 Americans, and has a margin of error of plus or minus less than 1 percentage point. The portion of the survey released Tuesday, which focuses on beliefs and practices, is the second of two parts. The first, released in May, found that the nation is significantly less Christian that it was seven years ago.